SANTA CLARA, Calif. — As tech-savvy millennials have come to expect a high level of user experience (UX), the health care industry has begun to digitize products, services, and commerce models. The industry is setting up personalized UX/user interface (UI)-enabled eCommerce platforms and websites, which are expected to be the preferred digital channels for browsing and ordering medical devices and supplies. This will not only improve access, quality, and affordability of healthcare, but also promote predictive, preventive, and outcome-based care models. The overall benefits of supply chain optimization and improved UX are expected to result in an eCommerce channel that will reach $200 billion at a compound annual growth rate (CAGR) of 15% by 2022 according to a study by Frost & Sullivan. “Drug and device OEMs and distributors should prioritize their eCommerce strategy based on the maturity of their buyer/market using a mix of available digital tools for educating, researching product information, and order and payment management,” said Kamaljit Behera, industry analyst, transformational health. Frost & Sullivan’s recent analysis, Healthcare eCommerce Market in North America, Forecast to 2022, examines the key trends and developments in healthcare eCommerce with specific focus on the eCommerce market for pharma drugs and medical devices in North America. It also provides market projections, opportunity analysis by supply chain participants, strategic imperatives, and industry best practices or case studies for both segments. Selling, general & administrative (SG&A) expenses accounting for 35% to 40% of the overall healthcare industry cost, which creates a need for an efficient eCommerce distribution model by automating sales representatives’ routine and tactical works. 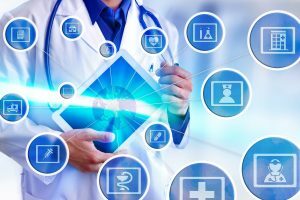 Healthcare eCommerce Market in North America, Forecast to 2022 is part of Frost & Sullivan’s global Advanced Medical Technologies Growth Partnership Service program. For further information on this analysis, please visit: http://frost.ly/3ak.